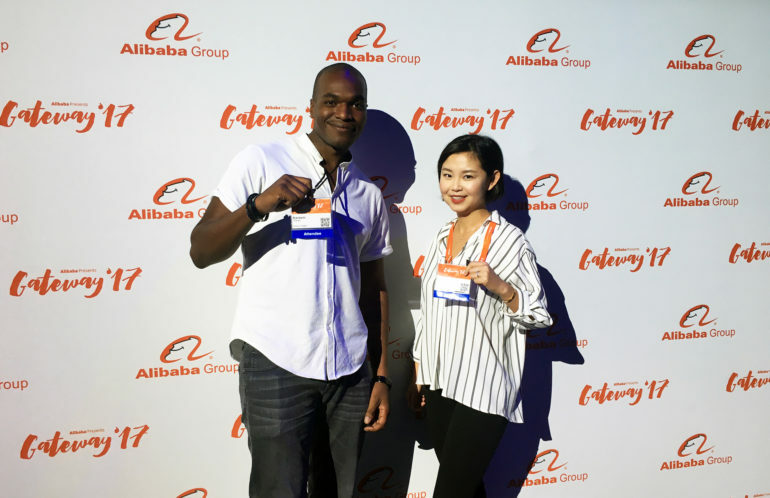 Last week, my colleague Kareem Perez and I were beyond excited to attend Gateway ’17, a conference hosted by Alibaba Group. Alibaba is an eCommerce company with C2C, B2C, and B2B business models. Tmall, Taobao, and Alipay are some of the brands under the Alibaba umbrella. The founder of Alibaba, Jack Ma, gave a very inspiring keynote, and we also heard engaging speeches from the President of Alibaba Group, Michael Evans, and the Prime Minister of Canada, Justin Trudeau. One of the key themes of the conference was “Why China?” Why should businesses consider entering the China market, and more importantly, why should SMEs enter this market? There are billions of people in China — many of them are online, and many of them are shopping online. However, what Western brands should be interested in is China’s rapidly growing middle class. Jack Ma mentioned that there are over 300 million middle-class citizens in China. To put things in perspective, 300 million is approximately the population of the entire United States. China’s middle class is growing very quickly — they are technologically-savvy, have sophisticated taste, and appreciate quality products and brands from Western countries. This is changing China’s economy from export-based to more import-based. To sum things up, there is high demand for Western brands from Chinese consumers. According to Jack Ma, 80% of SMEs need to be globalized. Distance will no longer be an issue as the new supply chain model improves, which will increase efficiency in delivery. SMEs must think global, which entails global buy, global pay, and global delivery. Companies that plan for globalization are the ones that will thrive in the long run. Jack Ma also mentioned that there are 1.5 million Chinese-speaking people living in Canada who are perfect ambassadors of your brand to the Chinese in China. We can’t agree with him more! There is a huge opportunity to market to the Chinese demographic locally in a language they know and on the platforms they frequent, such as Weibo and WeChat. Marketing is an important piece of the puzzle when brands think of entering the Chinese market. Even if you have successfully setup your store in Tmall, and have integrated Alipay as a payment option, sales won’t take off until people know about your brand. We have created a Weibo Marketing Guide, a WeChat Marketing Guide, and a Baidu Marketing Guide to help with your Chinese marketing initiatives. We would love to answer any questions you may have.